The tragedy of this upper-middle-class family in Manhattan shocked the country and even gave rise to an award-winning book in France "Chanson douce" (Lullaby), by French-Moroccan Leila Slimane. In the book, which won the prestigious Goncourt Prize in 2016, Slimane is inspired by history but transports her to a Parisian family that lives a tense class struggle with her nanny. 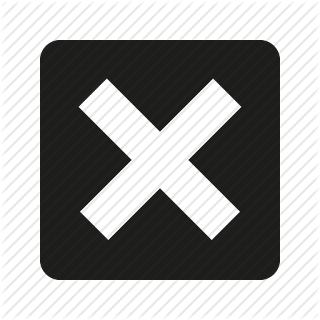 A nanny is a person in charge of taking care of the children of a third party. Since the mid-twentieth century is usually because the parents of the person cared for cannot take care of him because they maintain a work activity. The woman who does this work full-time is often called nana. 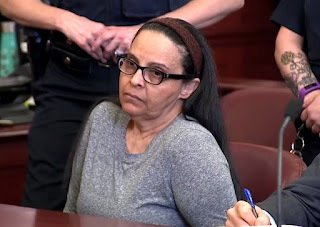 Yoselyn Ortega, 56, a nanny of Dominican origin, admitted killing two children, or even knowing if deliberately or if she suffered an attack of madness. Five years ago a mother arrived at her apartment in Manhattan and found a Dantesque scene: two of her children stabbed in the bathtub and the nanny trying to commit suicide with a kitchen knife. A jury in New York must decide if the nanny who admitted the crimes killed the two children. The murders of Lucia Krim, six years old, and Leo Krim, two, took place on October 25 2012, in a well-off apartment on 75th Street, on the Upper West Side, near Central Park.The mother, Marina Krim, a housewife and occasional art teacher, was with another of her children, Nessie, three years old, and began to panic when she went to a ballet class to find her daughter Lucia and she did not It was there.Courtney Groves, the prosecutor in charge of the case, told the jury that Ortega brutally murdered the children seeking revenge on Marina Krim. He also stated that the crimes were scrupulously prepared and that the author knew that what he was doing was wrong.The prosecutor said that Ortega, who had been salaried two years earlier by the father of the victims, Kevin Krim, an executive of the CNBC television channel, had a grudge against the children's mother. For her part, Ortega's attorney, Valerie Leer-Greenberg, presented a defense based on the supposed madness of her client. With the purpose of gathering elements that deserved this thesis in the Dominican Republic, where the nanny lived until she was 20 years old, the process was postponed until now. The babysitter's attorney says she suffers from a chronic mental illness, never treated since she was an adolescent. According to the lawyer explains his client listens to voices, has great depressions and a psychotic way of thinking and hallucinations that led him to commit the murders.If found guilty, she will surely be sentenced to life in prison. If the jury decides that she was not responsible for her actions as a result of the madness, she will be confined in a psychiatric hospital.